In this February 12 photo, Ilocos Norte Gov. 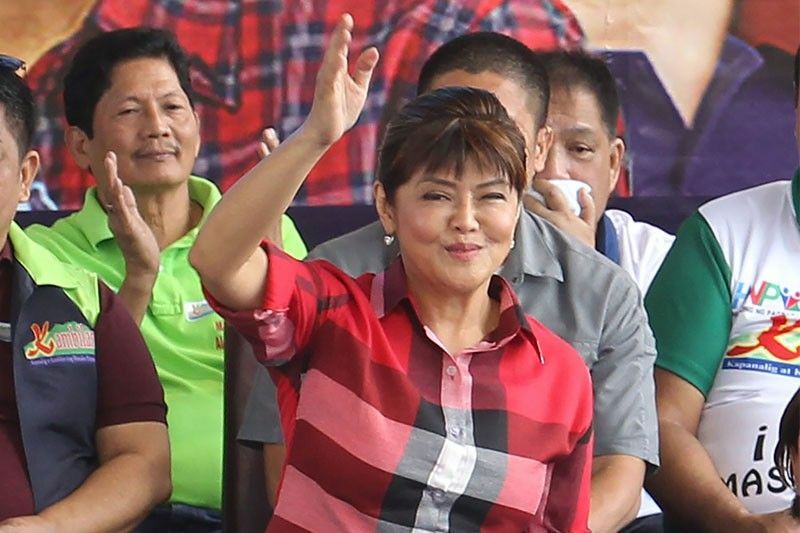 Imee Marcos attends the campaign launch of the Hugpong ng Pagbabago coalition in San Fernando, Pampanga. MANILA, Philippines — Ilocos Norte Gov. Imee Marcos “falsely” claims that she graduated from Princeton University, the school’s independent student newspaper reported, adding the daughter of late strongman Ferdinand Marcos “was not an average student” during her time at the Ivy League university. Interaksyon previously reached out to Princeton University, which confirmed that although she attended the school, she did not graduate. In a February 26 report, Daily Princetonian, quoting a university spokesperson, said no record shows that Marcos was awarded a degree. “In an email to The Daily Princetonian, Deputy University Spokesperson Michael Hotchkiss wrote that Marcos attended from fall 1973 to spring 1976 and returned again for fall 1977 to spring 1979. She had an independent concentration in Religion and Politics,” the report read in part. Despite previous denials from university officials, Marcos has repeatedly insisted that she finished a degree at Princeton. She also claimed that she graduated from the University of the Philippines College of Law, which has been disproven by the school’s officials as well. In 2015, Marcos’ brother, Ferdinand Marcos Jr., stirred up controversy after reports show he did not complete the degrees and may have received mere diplomas instead from Oxford University in England and Wharton School of Business in Pennsylvania. In the same report, Daily Princetonian also recalled Marcos' years in the university, saying the daughter of late strongman was not an ordinary student. “In a letter from Philippine Consul General Ernesto C. Pineda to Dean of Student Affairs Adele S. Simmons dated July 30, 1973, Pineda described different accommodations that would be arranged for Marcos,” the student newspaper report said. “She would live off campus, be escorted by Philippine security personnel, and be driven to and from campus by a Filipino chauffeur,” it added. “According to an article in the ‘Prince’ on September 11, 1973, the Asian-American Students Association protested the University’s acceptance of Marcos and held negotiations with Simmons regarding her matriculation. The AASA worried that the presence of Marcos and her security personnel would be threatening to students who were critical of her father’s government,” it continued. The Marcos patriarch, whose presidency was tainted by human rights abuses and massive corruption, was ousted in the 1986 "People Power" revolution. Despite the death of the strongman while in exile in Hawaii in 1989, his family has been making a steady political comeback, with his only son and namesake eyeing a return to Malacañang as Philippine president. In 2016, President Rodrigo Duterte, an ally of the Marcoses, granted the political clan’s longstanding wish to bury the late dictator’s remains at the Heroes' Cemetery.